What's green lipped mussel - and why is it in joint supplements? Green lipped mussel is, as the name suggests, a mussel with green lips! It’s native to New Zealand and its ‘proper’ name is perna canaliculus. But that’s not what is particularly interesting in this context; the interesting ‘bit’ is what it adds to joint supplements. Green lipped mussel is being integrated into animal and equine joint supplements, to help support cartilage, bone and joints. Some people take green lipped mussel if they have arthritis or joint issues that cause inflammation. So, how does it ‘work’? Well, research varies depending on what you read, but green lipped mussel is high in omega 3 fatty acids which can support joint health and condition, as well as the heart, eyes, brain and skin. They also contain minerals and other ingredients that can support joint health…but the key one in green lipped mussel seems to be omega 3. And if this is combined with other joint supporting ingredients, like glucosamine and chondroitin, for example, you have a pretty impressive supplement! 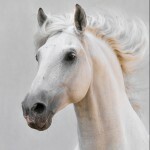 Some people feed green lipped mussel supplements to help maintain joint health, and others add it to their horse’s diet when a problem exists. Some people try it before they turn to ‘stronger’ medication as, unlike some drugs, green lipped mussel doesn’t seem to compromise the digestive system. We include green lipped mussel in our Flexijoint, alongside other key ingredients that help to support the horse’s joints. 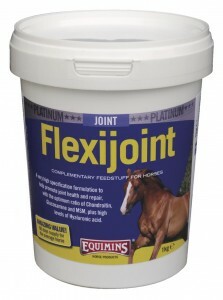 Find out more about our Flexijoint range of joint supplements here. Don’t forget that all three Flexijoint products (Flexijoint Powder, Flexijoint Liquid and Flexijoint Liquid with Bromelain) have a money back guarantee, so you have nothing to lose by trying one on your horse.